When you hear the name "Juliska" I am sure you think fabulous, everyday china... From the everyday china that can be dressed up for finer occasions, to the stunning serving pieces they feature, Juliska has a whole lot to offer from their line. 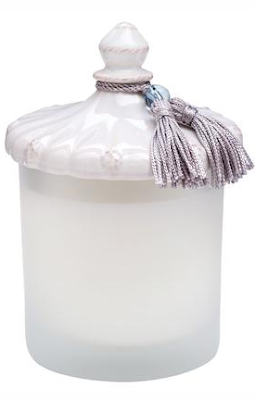 In addition to Juliska's extensive collections, they also offer a signature home fragrance collection. The collection is comprised of fragrances like honeysuckle & jasmine, fig & bergamot, sea grass & neroli and clementine & cassis. 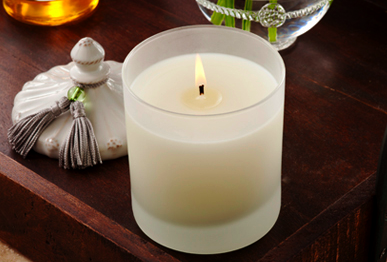 We just had these candles arrive to our Stephanie Grace store, and I must say that they are simply amazing. All of the scents are incredibly calming and aromatic. It also doesn't hurt that the packaging is in true Juliska fashion. There is no mistaking who makes these candles.